Need more space? Office need a tidy up? A facelift? Enjoy a completely new office without moving an inch! My London Builders are a London-based building firm offering office refurbishments in London and throughout South East England. We work either directly for clients or as a sub-contractor, either way we get the job done. Office space is precious space. With rents being what they are in London, every square foot needs to be productive. That means you need an effective interior design, and someone who can make those changes as quickly as possible, and when the office isn’t being used. Working with a building firm offers many advantages. We are a one-stop shop for all your building and refurbishment needs. Our project managers all have both building and commercial experience, giving you a uniquely complete perspective. We don’t miss much, and can plan for everything. When every second counts, that’s priceless. For fast, efficient office refurbishment in London, we’re the people to call! As we’re predominantly a building company, we have the skilled trades to make sure everything is completed on time and on budget. It means we can take care of just about any refurbishment challenge, from moving, plastering, moving pipework, electrics and everything in-between. It also allows us to react quickly to the unforeseen. When an emergency occurs, it’s a significant advantage to have plumber or electricians on call to come to the rescue. 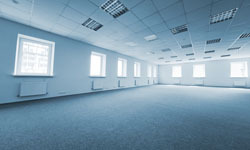 We can take care of London office refurbishments large or small. Anything from moving furniture around and repositioning partitions, to complete shell builds. We have the skills, we have the trades, we have the desire to provide top-notch office refurbishments in London. By doing the majority of the heavy work at night or over the weekend, we can keep disruption to a minimum. That way you can remain productive for the longest period of time and your staff aren’t too inconvenienced. We can also work closely with telecoms and IT teams to ensure nothing goes awry with your infrastructure while we move you. By working with My London Builders on your office refurbishment, you could leave one office on a Friday, and return to a completely refurbished one on the Monday. All without moving address, relocating people, or having to have your post forwarded! Whatever the project needs, we have the skills to deliver. From moving furniture to a complete refit, and everything in-between. For an office refurbishment service that make the most of the available space, keeps you productive while we work around you and delivers on the promises we make, you know who to call. For the best office refurbishment in London, it simply has to be My London Builders. We’re local, we’re reliable, we’re able. Contact us today for a free, no-obligation quotation!